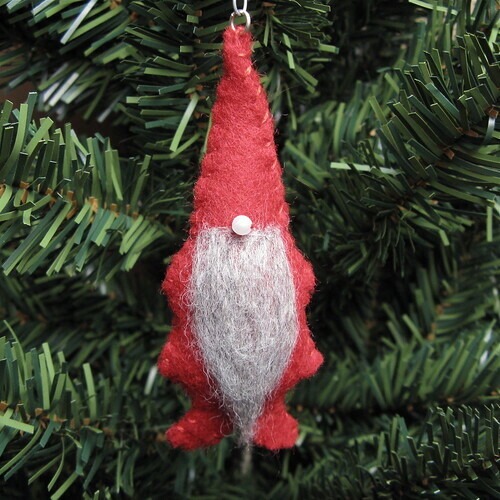 This little gnome or tomte ornament has been the most popular seller on our Etsy store over the past couple of years. 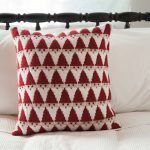 I haven’t had time to make any to sell lately, so instead I thought it was time to share the pattern, so you can make your own. I love the fact that these little guys are so simple yet seem to have so much personality. You can easily whip a few of them up in an evening. 1. 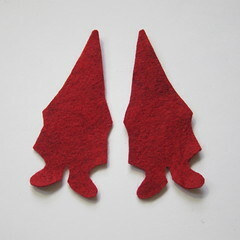 Cut two of the gnome pattern from the red felt. thick as you can always add more if the beard is a little thin. 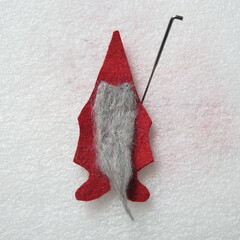 needle to attach the roving to the felt & shape the sides of the beard. 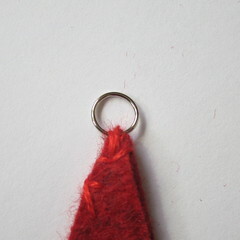 This is done by poking the felting needle in & out of the roving & felt until secure. Trim the bottom of the beard to the desired length & into a point. 4. Cut a length of the embroidery thread & unwind the strands. Use two strands to do all the sewing. 5. 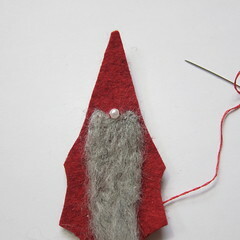 Sew a bead on for the nose at the top of the beard. together using a whipstitch. 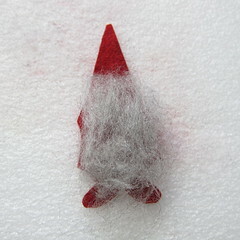 Start the sewing at about the top of the beard. this.) Be careful not to overstuff & make the sides of the gnome pull apart. 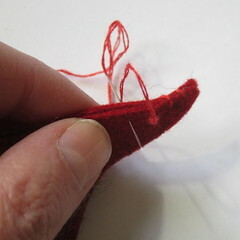 10.Push the needle & thread up through the inside of the hat coming out at the top. Make 3 or 4 whipstitches at the top of the hat then knot off at the back & cut. 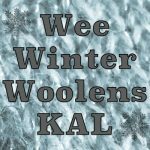 6 years ago by Kat in Advent Calendar Project , Christmas , Craft Projects , Crafts , Holiday , Needlecraft , Projects , Sewing , Sewing Projects | You can follow any responses to this entry through the RSS feed. You can leave a response, or trackback from your own site. This is so cute 🙂 I am pinning this to my Christmas board! These are so cute! 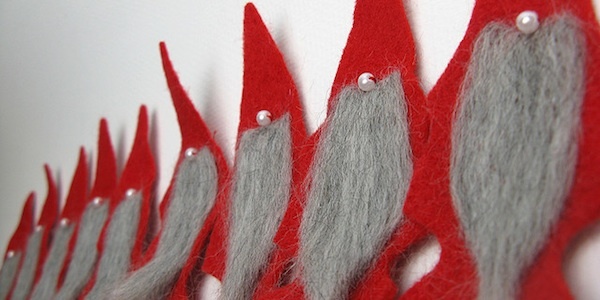 Tomte, or nisse, are part of my Danish heritage, so I need to make some of these. 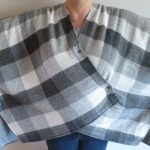 I love these i will habe to borrow some felting needles from my mum! They will look great with our collection of Nisse collected over the past few years while visiting Denmark. Pinned to my Christmas board. Great advent calendar idea!